Last in this season's series for Women on the 4th Wednesday of the month. Mini-Retreats will return in September and new events will be added to the birdnest calendar. 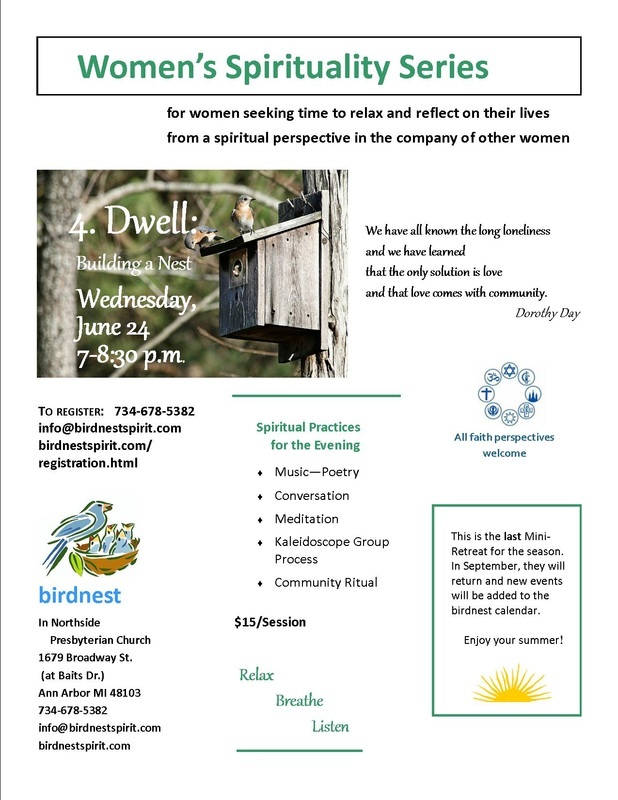 To register for June, click here.